Lately a lot has been said in the media about us, Walmart employees. 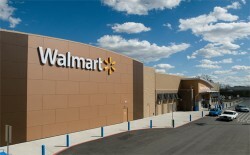 The truth is that I have been an employee for 11 years, that started as an inventory associate and has been able to move up to the current managerial position at the Little Village Neighborhood Store in Chicago and it is very important that the public knows that the employees of Walmart have their own voice. The company has supported us from the very beginning. My managers have always motivated me to keep improving myself at the personal level to seize the opportunities available within the company. Walmart offers its employees services that help us even when we face difficult personal situations and I’ve been there and the company has delivered for me and my family. Walmart offers programs that give money back to the employees who get their GED certificate up to $1,500 dollars, which is something that not many people know about the company. My managers from Walmart helped me discover talents that I did not know I had, helping me to become a more self-confident person who can take new roles that have allowed me and my family to enjoy a better life.